The micro-blogging site announced losses of $645 million (£396 million) for 2013, its first set of results since going public in November, and investors were unnerved to see a slowdown in the growth of people using Twitter. Twitter averaged 241 million monthly users in the last quarter of the year, up just 3.8 per cent on the previous quarter, compared to 10 per cent seen at the beginning of 2013. Also timeline views were down nearly seven per cent in Q4, suggesting users were refreshing their feeds less often. Investors were also concerned at the ballooning costs Twitter is suffering, but Dr Paroutis feels the heavy spend on R&D is a good sign and will eventually bear fruit. “Most of Twitter’s R&D spending goes towards personnel-related expenses and in the long term they have a number of products still to be fully utilised,” said Dr Paroutis. “There is Twitter Amplify, which allows advertisers to send out a promoted tweet to coincide with ads on TV, and in December it introduced its Tailored Audiences where a company can send a tweet to people who have been searching for terms on the Internet related to its product. “It will take time for advertisers to learn how to utilise fully these new tools, but once they do, Twitter will be in a much better position. Already their advertising revenue per 1,000 timeline views has increased to $1.49 in Q4, up 76 per cent from last year, showing that this is an area they are starting to improve on. Dr Paroutis believes the 24 per cent drop in Twitter’s share price, that came on the back of its results, was partly because it had become over-valued. “The long term prospects could be positive as long as Twitter can rationalise its costs and continue to grow revenue in the next few quarters,” said Dr Paroutis. 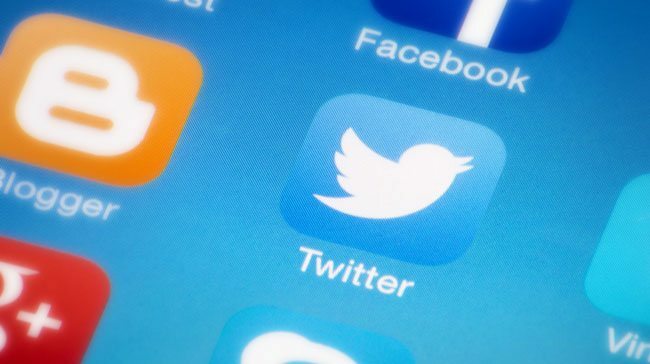 Twitter’s revenue rose 110 per cent last year to reach $665 million (£407.4 million) and Dr Paroutis feels the market’s reaction to the Californian company’s results was also affected by Facebook’s extraordinary quarterly performance, revealed just days earlier. “The losses do not mean Twitter’s business model does not work,” said Dr Paroutis. “Facebook reported very good results, so the market is comparing Twitter to that. Facebook was profitable for three years before it entered the market, while Twitter was in a different situation. “In some respects Twitter had to prove its business model worked and going to IPO helped put its business case forward. Now it is facing the scrutiny of the investors and the market. “The losses are significant, but Twitter is growing its revenues quite quickly, 110 per cent year-on year. Once it has sorted out its R&D and acquisitions costs the firm will be in a better position. The other challenge is that Twitter needs these new innovative products to be utilised by users and advertisers. In other words, while it is doing well, it needs to do better – and faster – to keep its advertisers, users and investors interested. “Twitter has good brand awareness and had nine million new users in Q4; it was just that this was the first slowdown in timeline impressions. Some of the reasons behind this slowdown can be found in the multiple redesigns that Twitter has recently carried out. Yet these redesigns support the roll-out of new products.